After having supplied in 2010 the players protection tunnels on occasion of soccer world championship, Giulio Barbieri S.p.A. came back to Africa. The President of Cameroun chose the elegance of Giulio Barbieri's party tents for celebrating the 40th anniversary (20th May 1972) of the United Republic of Cameroon becoming independent from France and Great Britain in 1960. 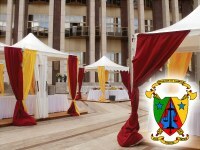 Celebrations took place in President's palace located in Yaoundé. 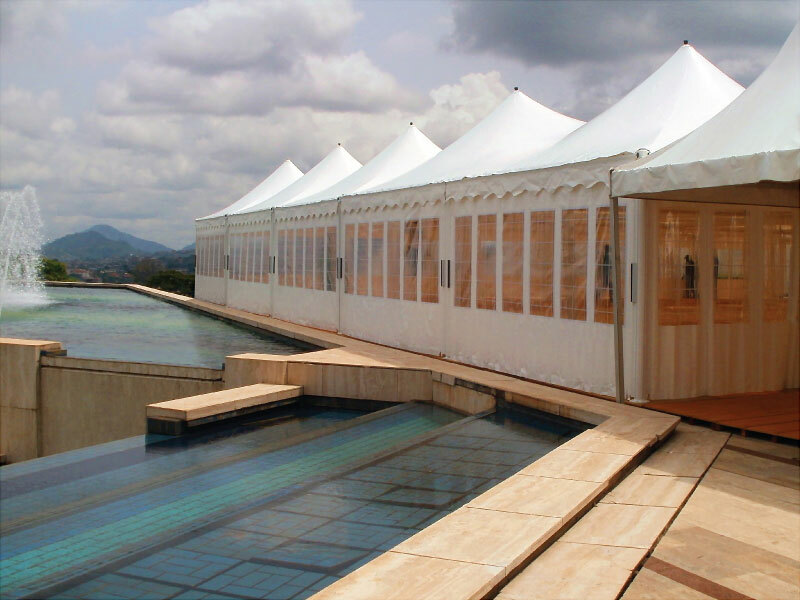 More than 50 tents model Dynamic and 3 tents our Elite-in model were installed to cover an area of around 1200 sq.m. Giulio Barbieri co-operated with the African Republic, thanks to the partnership with the company Proras from Rome. 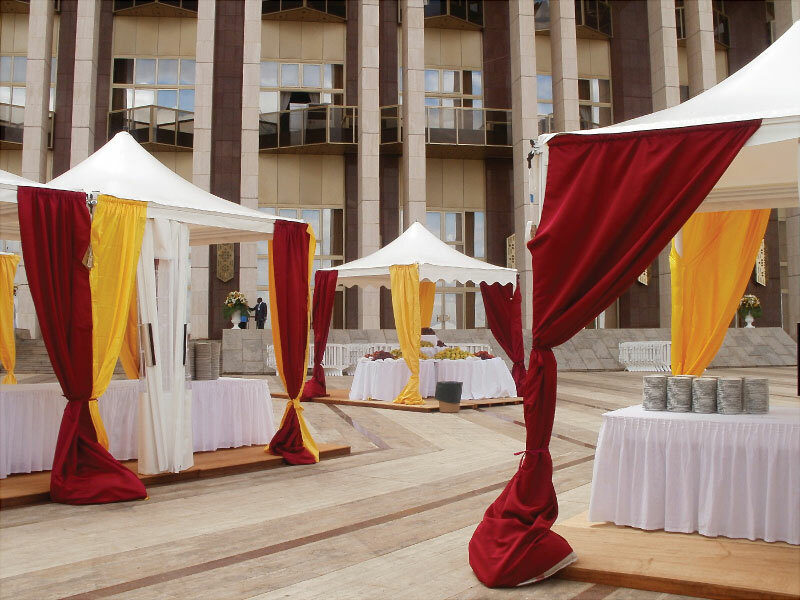 A further supply of round 278 event tents were realized to cover a total area of 9.900 sq.m.